TAUBERZELL, GERMANY, September 14, 2016: Uwe Stenglin, who built Plastic-Technologie-Service (PTS) into a leading custom compounder and arranged for its sale to Teknor Apex Company in March of this year, has taken on a new role as principal consultant to Teknor Apex. Walter Baumann has assumed the position of managing director of PTS. Founded by Mr. Stenglin in 1986, PTS is a key player in the European market for engineering thermoplastics (ETPs) and thermoplastic elastomers (TPEs), with a diverse product range and unique technologies. Mr. Baumann, who worked with Uwe Stenglin and other shareholders to successfully complete the sale of the company, has been a senior manager with PTS since 2009. Since the acquisition by Teknor Apex, Walter Baumann has served as the director of integration, responsible for working closely with various groups within Teknor Apex to facilitate the process of integrating the two companies. 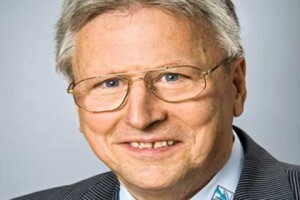 For seven years, Walter Baumann was the senior automotive business development manager for PTS. A European plastics industry veteran with a career of more than 30 years, he previously held senior positions in such companies as Borealis and General Electric.